In the ten months since the Monaro Volcano on the tiny island of Ambae, in Vanuatu, became active, every conceivable surface on the island has been covered by a thick layer of ash. Volcanic ash is acidic, so it severely affects the crops many people rely on for their daily sustenance. The air becomes thick, making breathing labored and difficult. The water becomes contaminated, making it undrinkable. The first temporary evacuation, back in September last year, relocated residents to a nearby island for one month. Only a few months after they returned the volcanic activity worsened again, and a few weeks ago, the government declared another mandatory evacuation. 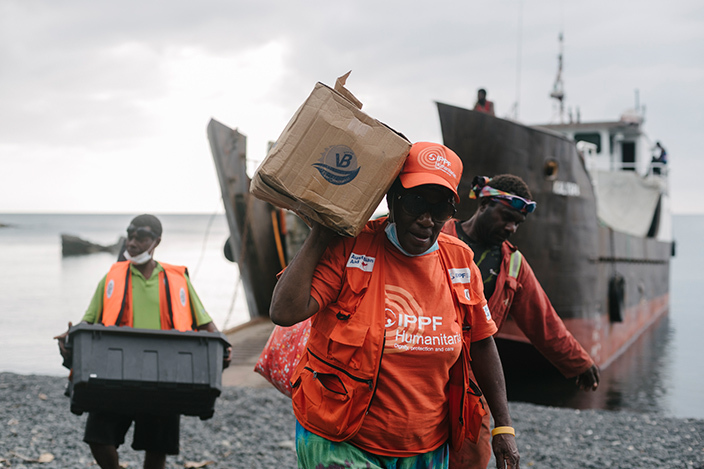 IPPF’s partner on the ground, the Vanuatu Family Health Association, was on Ambae delivering emergency sexual and reproductive healthcare to evacuees during this time. This is their second humanitarian response to the island, having previously responded late last year. 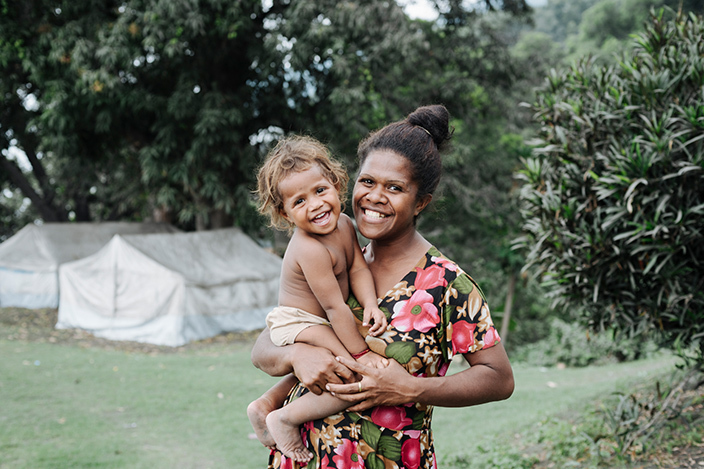 Having to relocate both internally and externally, living in evacuation centres, and an uncertain future all impact the sexual and reproductive health needs of a population. On Ambae, many women reported wanting to stop or delay their pregnancies until their futures were more certain. Other women reported feeling less safe in general due to there being less people on the island. 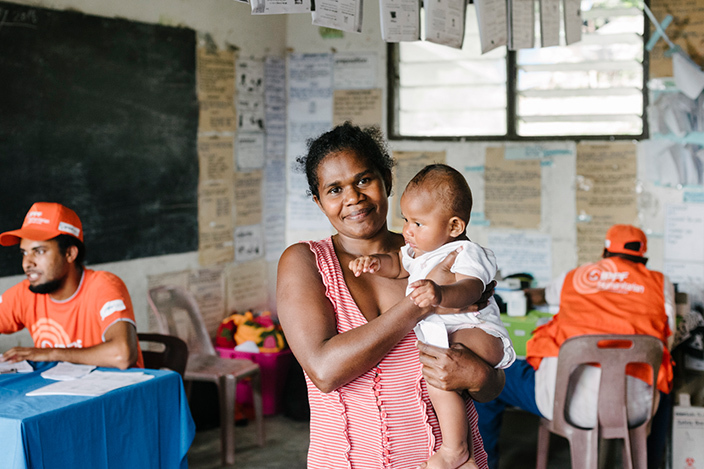 Our humanitarian response team conducted mobile health clinics on Ambae, providing much-needed contraception and other sexual and reproductive health services. Of the 11,500 original inhabitants of Ambae, thousands of people remained in their coastal homes or evacuation centres, and 4,000 people had registered to be relocated to nearby Maewo Island by the government. Our team travelled with the evacuees on the ship, even providing impromptu medical care en route. Now they are on their “second home” on Maewo, our teams will continue their outreach to the thousands of new arrivals. Our humanitarian workers are truly amazing and will do what it takes to provide services to people in need. On remote Pacific islands, this often means travelling by small plane, boat, vehicle and foot, all the time with the medical supplies. Once the team arrive at a community, they set up mobile health clinics in classrooms or community halls, and deliver education sessions under trees. This week, in the lead up to World Humanitarian Day on the 19 August, we want to thank our teams on the ground who go above and beyond. 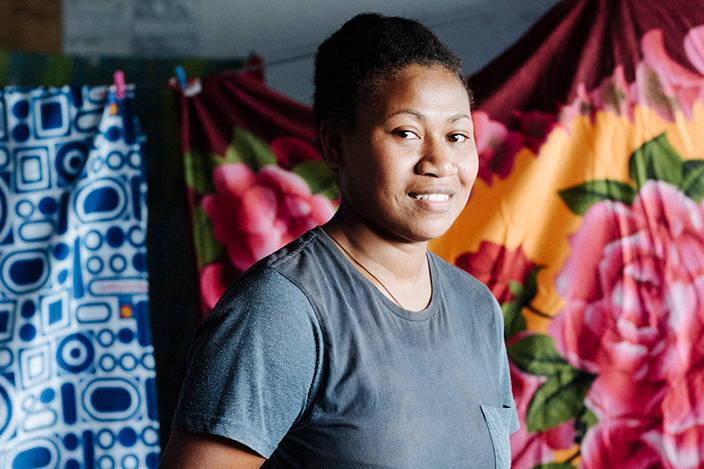 IPPF spoke to some of the outgoing residents of Ambae Island to find out about some of the health challenges they were facing as they left their homes. "Five children is enough. I have never used family planning, but I know about it. I want to take it but my husband refuses to let me take the pill or the five-year stick. He says if I go on family planning then maybe I will go see other men instead of him. Many men on this island are like that. They need to be educated." "When my husband and I discuss family planning, he disagrees. He says I know once you are on the pill or take other injectables you won’t think of me as your husband. I tell him, ‘but I am young, and I want to protect me. Then I can care for our kids, look after them properly’. I don’t know how to convince him. It’s really hard." "We planned for this baby. I always wanted to have a baby. I feel good to have a baby, I’m excited. My husband is excited too." "I know what family planning is. I have heard of the pill and other methods. My grandfather told me that you [the Vanuatu Family Health Association] were here today. I haven’t received any antenatal care yet, but I knew I was pregnant. A nurse checked my baby, and she said the baby is healthy. She gave me some medication for the baby. Seeing the clinic today has saved me time. The volcano makes me feel bad, it’s scary. I want to leave Ambae... It’s much harder being pregnant now. I want my baby to have a good future." Providing sexual and reproductive healthcare during emergencies is vital – find out why.